New Plotting 250 Square Yard Plots For Sale At Selaqui Atak Farm, THDC Colony,Dehradun. 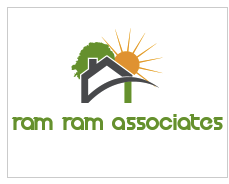 Home Apartment Residential Land New Plotting 250 Square Yard Plots For Sale At Selaqui Atak Farm, THDC Colony,Dehradun. 250 Square Yard Plots For Sale At Selaqui Atak Farm, THDC Colony,Dehradun. 150,200,250,300 Sq,Yd. @ 5000/- Per Sq,Yard. Why should you invest in Land near Selaqui ? Whenever you buy Land on the outskirts or in a developing colony , its price is expected to appreciate just as soon as construction activity begins. Historically Land prices in Selaqui India have risen upwards and given handsome returns to Investors and genuine buyers alike. You may sell at a profit or stay invested and build a house for your family. If you've bought a large tract of land at Atak Farm Selaqui then you may even go in for a joint venture with a developer and get good returns out of your agreement. This is a golden oppurtunity for investors looking for Land for sale in Uttarakhand or Plots for sale in Uttarakhand which are apt to provide good returns in the near future.